isnt the muffler still a slip on? If so then an aftermarket exhaust header part should still fit and could still use the OEM muffler??? I saved my stock exhaust just in case I may need it later. Not sure if you're talking OG or SF. The SF's mufflers aren't slip on. They're welded onto the cats. I simply cut it off and run the cat with no pipe. Thanks! That looks very nice. This is how it sounds open with no muffler or pipe. 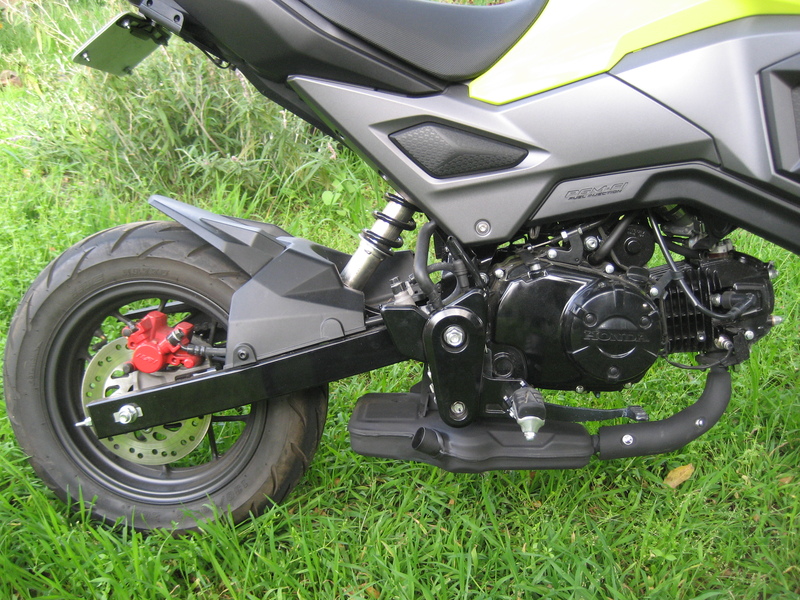 I wonder if anyone can put a larger I/D pipe on the front part of the unit that mounts to the exhaust part of the head just to get a better flow of exhaust gas to the CAT and also mounting a bung for the WB sensor or A/F sensor, and of course you would DIY port match the I/D hole size with the exhaust port of the head by doing a little dermal. 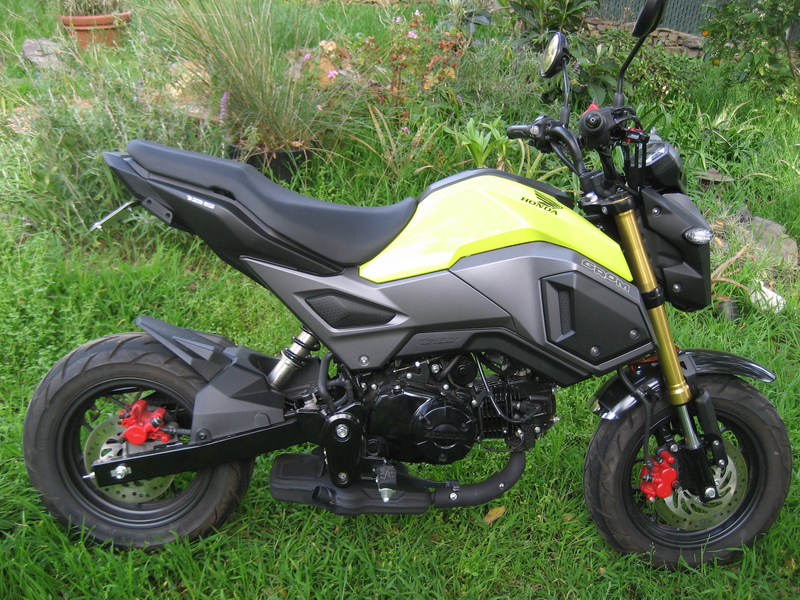 That is the right amount of noise I want on my grom. You likely could install a larger head pipe, but it would require punching a larger hole into the cat and some welding. I'm not willing to go that far so I simply run it as it is. The engine actually runs very well with it and the gas mileage is stellar (139.0 mpg). Ohhh ok. wasnt sure. i have an OG and a friend has the SF but he has an aftermarket exhaust. Wasnt sure how the OEM exhaust was. You could likely get your friend's stock SF exhaust for next to nothing if you want something cheap and quiet but with just a little more sound and performance. Most guys throw them away once they get an aftermarket exhaust. Going back to OEM exhaust ? 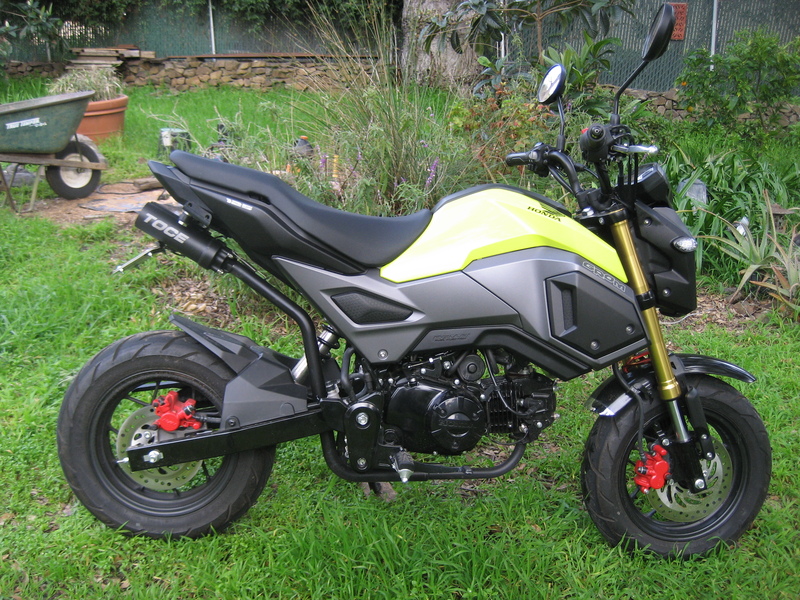 Grom going back to stock. Lots of aftermarket parts. Back to back DCR VS Yosh cam?